HomeBlogFashion & StyleSenz Umbrella, stylish and windproof. The Senz umbrella combines the most advanced windproof technology with stylish and eye catching design. It effortlessly slices through the wind, from a summer breeze to a heavy storm. 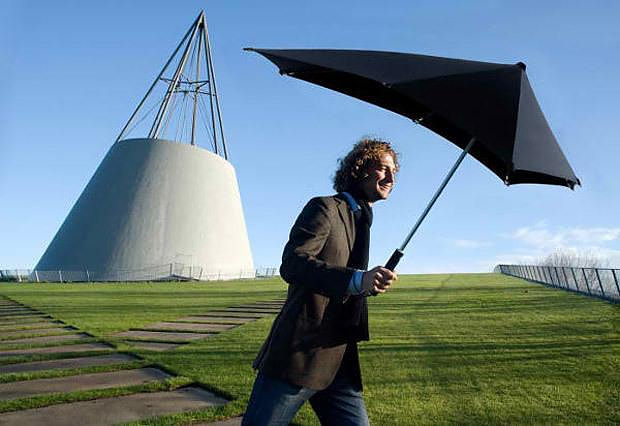 Due to its smart design, the Senz umbrella will not invert, and is windproof up to wind force 10, that is 100 km/h winds! An umbrella is one of the most common and useful accessories, but when the rain is combined with strong wind, it becomes dysfunctional. Its wide surface creates considerable wind resistance making it difficult to hold, and eventually it will “invert”. The Senz umbrella comes to fρee the world from these well-known “umbrella struggles”. 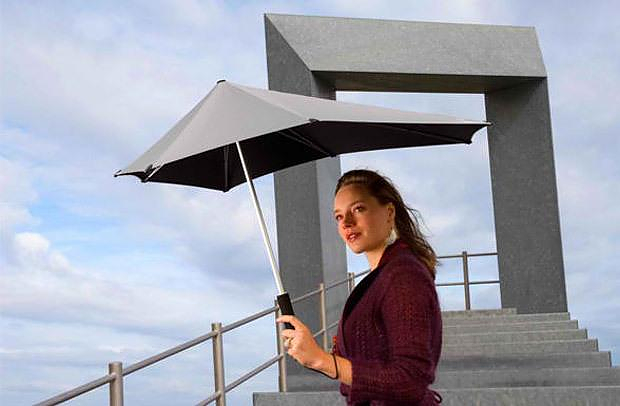 Τhe Senz aerodynamic umbrella was designed with a focus on usability. It always finds the best position in the wind and will never turn inside-out, making our life a bit easier. Every little part of this unique umbrella is optimized and carefully executed. 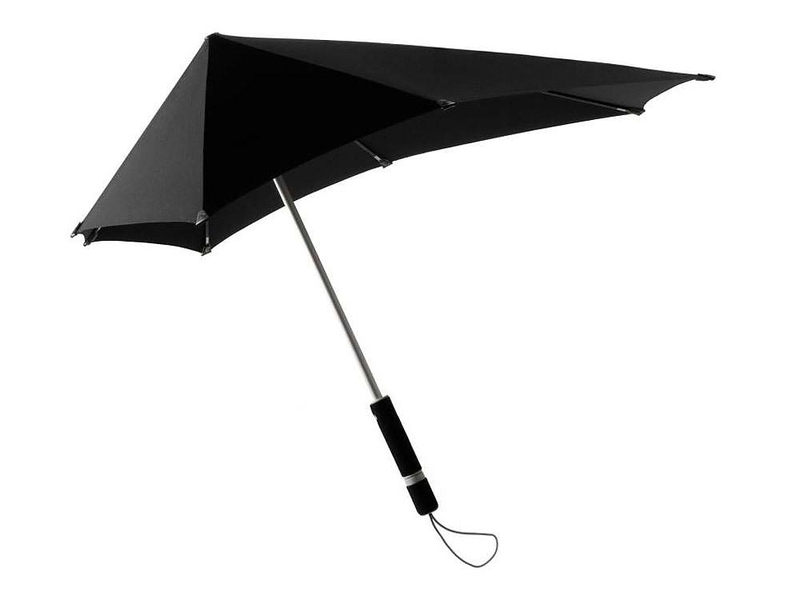 Its unique shape provides maximum rain protection and visibility, the handle is made from a combination of black EVA foam and ABS for the perfect grip, even the metal edges of the umbrella are covered with special eyesavers, in order to prevent eye injuries. Simply perfect! These revolutionary technical features are the result of intensive product development, unheard-of for an umbrella. The Senz Umbrella has been tested in wind tunnels, open top cars, motorcycles, even by jumping out of airplanes. Senz has gone to extreme lengths in order to make sure that their umbrellas will withstand winds of up to 100km/h without inverting. All these innovations in conjunction with the original and stylish asymmetrical shape, have rendered the Senz umbrella a classic object of modern design. 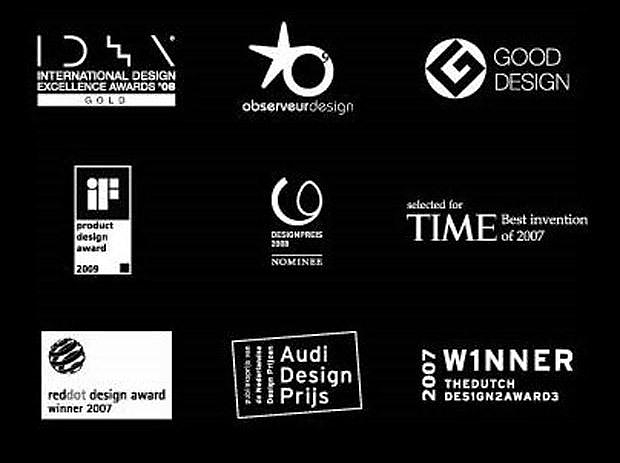 It is no coincidence that it has been honored with almost every important design awards there is, such as: “red dot design award”, “iF product design award”, “IDEA international design excellence award”, “The Dutch Design Award”, “Audi Design Prijs”, “Good Design” and many more. The Senz umbrella is available in a variety of colors and in three different sizes, the “original” the “Mini” and the “XL” and in many different colors.